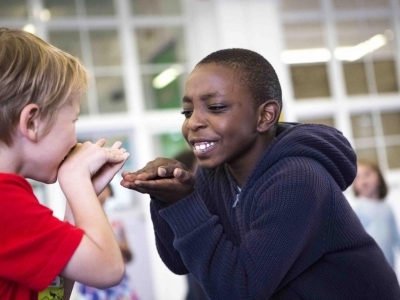 In September 2016 we visited William Patten Primary School in London to deliver assemblies and workshops for the whole school. 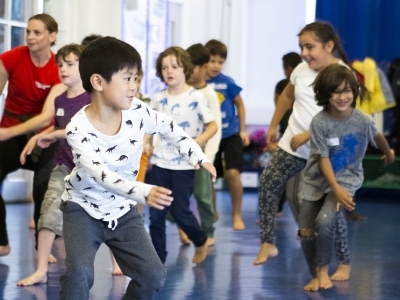 Following this the Headteacher Karen Law approached us to deliver a Dancers in Residence Programme. This project was led by Paul Smethurst, Project Manager & Resident Practitioner & Daisy May Kemp, Resident Artist (maternity cover), visiting the school over a six week period in 2017/18 and working with each class once a week. 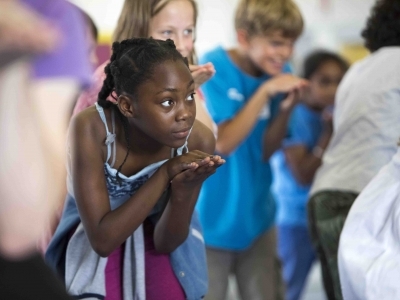 The project culminated in a performance at Sadler’s Wells in January 2018, with an invited audience of family, friends and guests, of a special version of Matthew Bourne’s Cinderella where each class performed a section of the story! Karen Law, Headteacher of William Patten Primary School said, "We were absolutely delighted to work with New Adventures. It was a once in a lifetime opportunity for the children, staff and families."